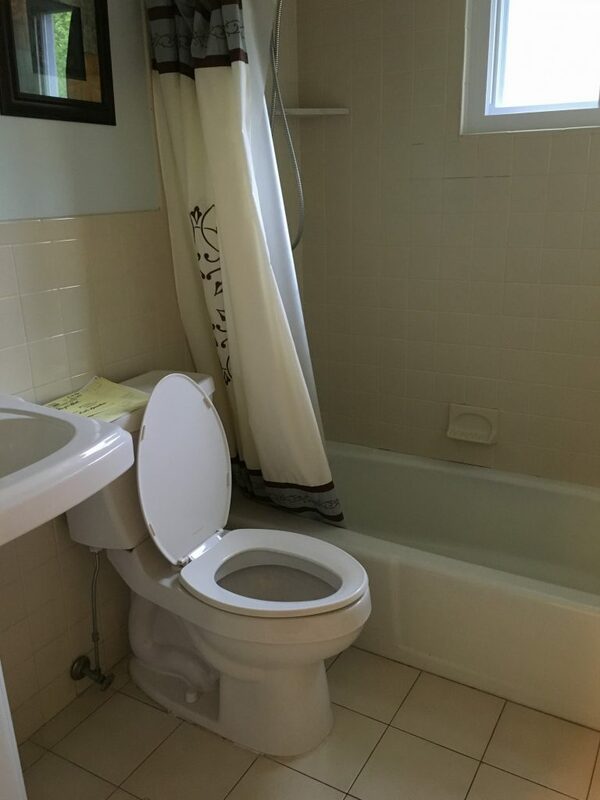 This Madison, NJ home’s hall bathroom was in need of some updating. 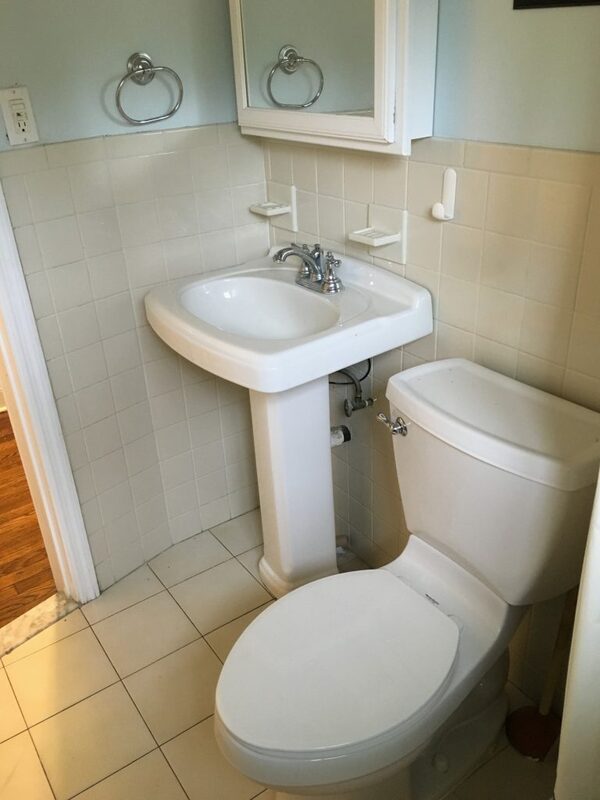 Our team at Monk’s came in and began this project by fully gutting the existing bathroom. 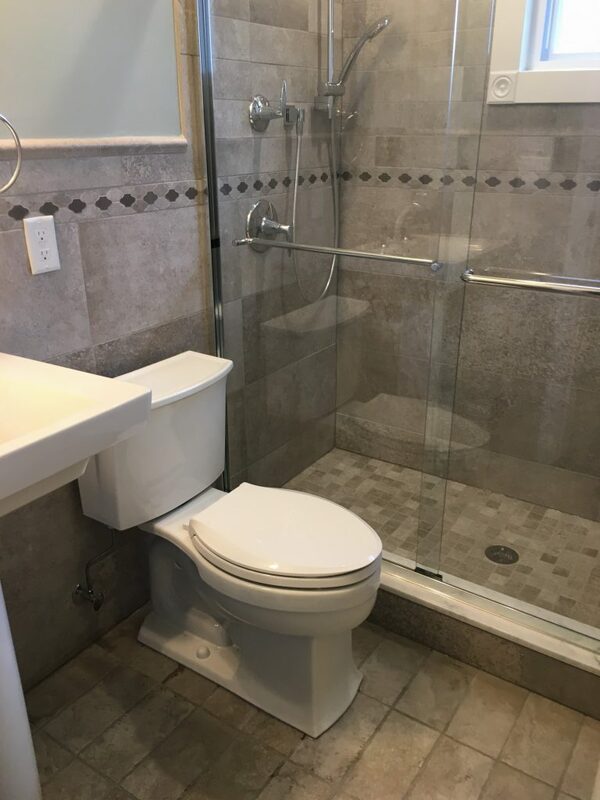 A common upgrade a lot of homeowners choose for their new bathrooms is to remove the bathtub and replace it with a new, luxurious shower. 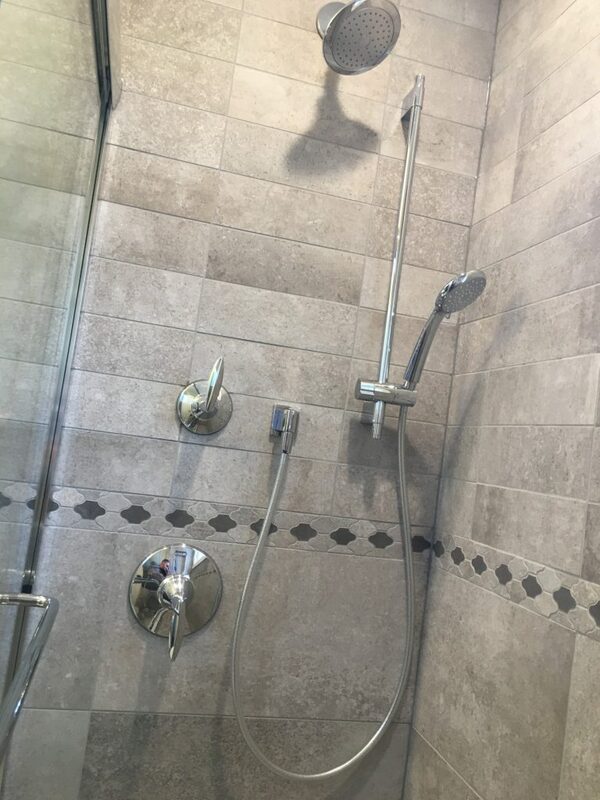 Our team performed a full tub to shower conversion in this hall bathroom. 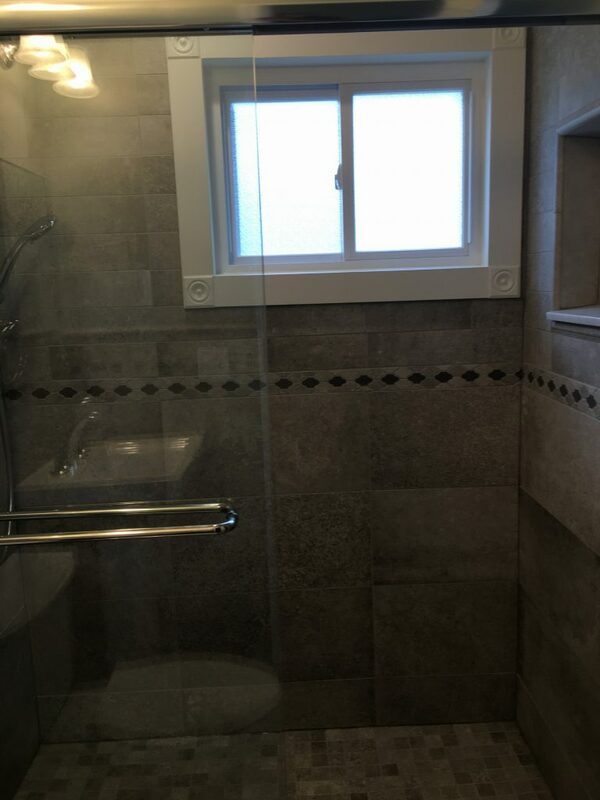 A new semi-frameless sliding shower door was installed for the new shower. 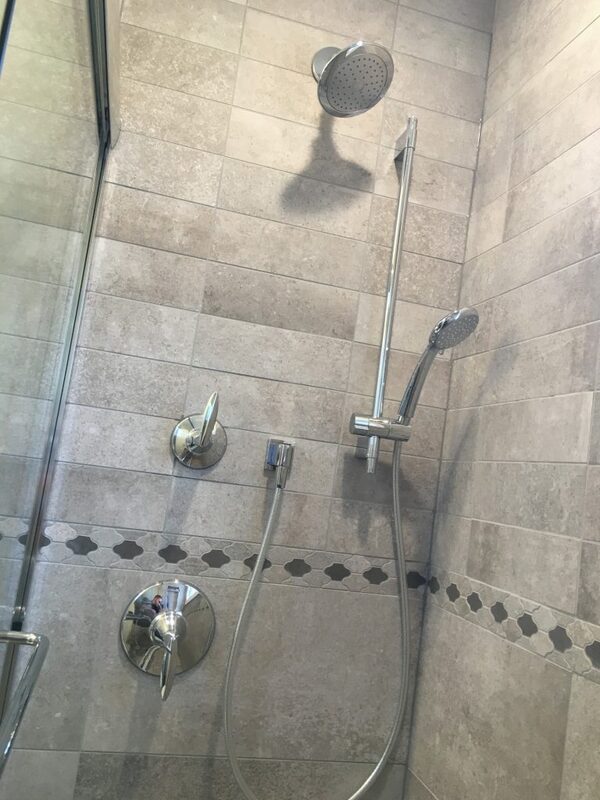 A custom niche for shampoo was also added to the shower. 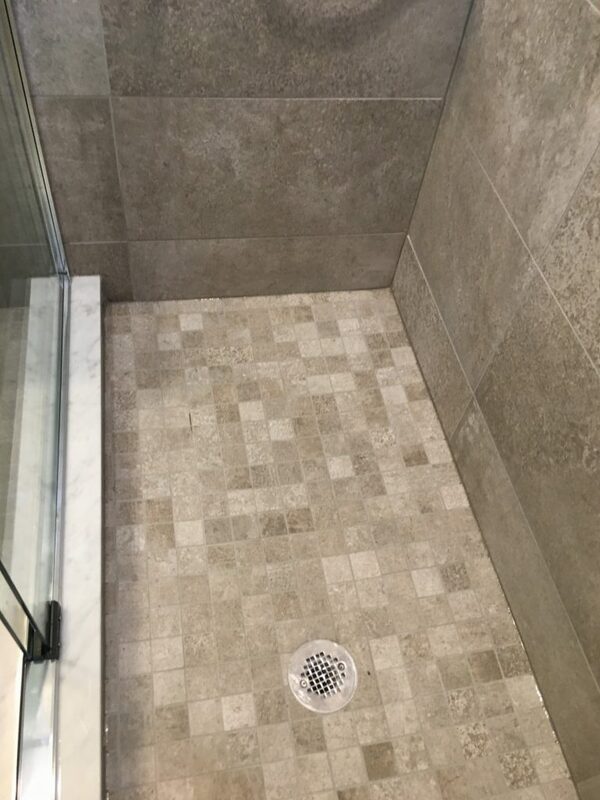 Our team of skilled tilers expertly installed new shower tile and actually carried the shower wall tile throughout the bathroom to make it feel larger. 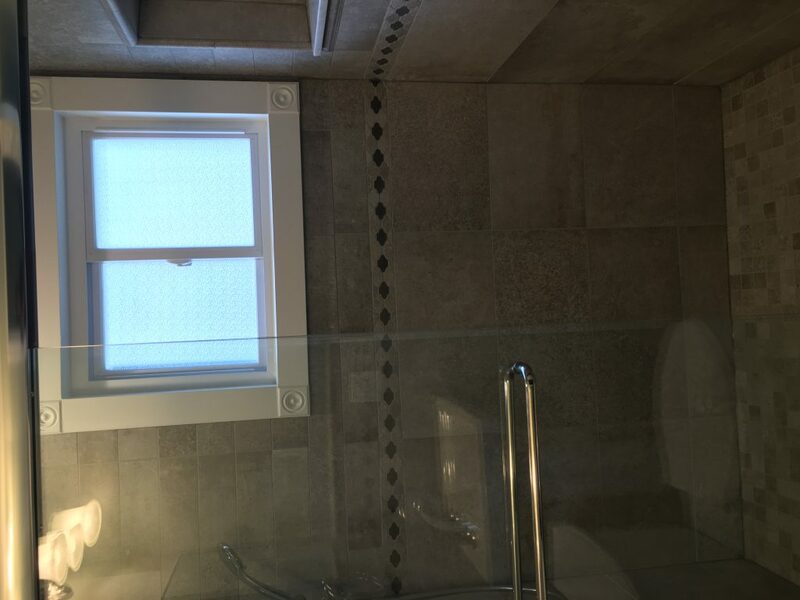 Composite trim was installed around the shower window. Composite trim is an ideal choice for this type of project because of its moisture-resistant quality. 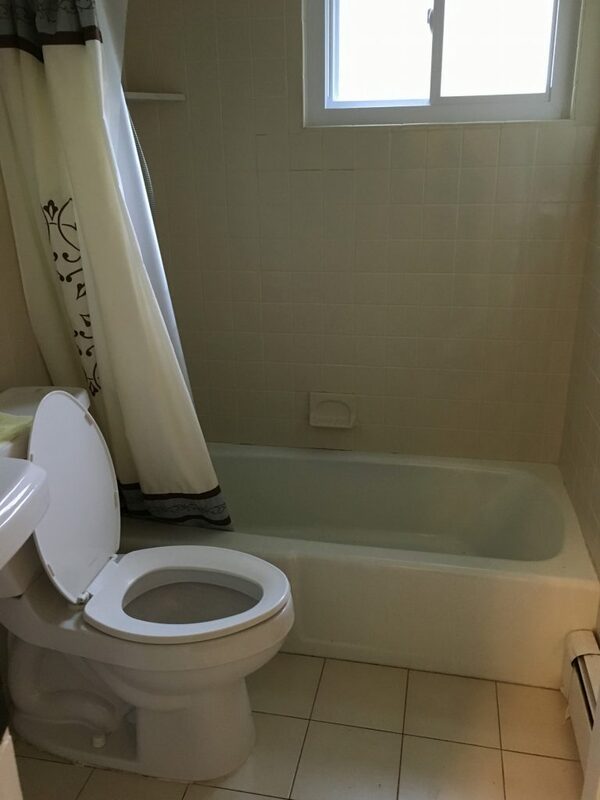 This trim will not suffer from water damage in the same way that wood trim will. 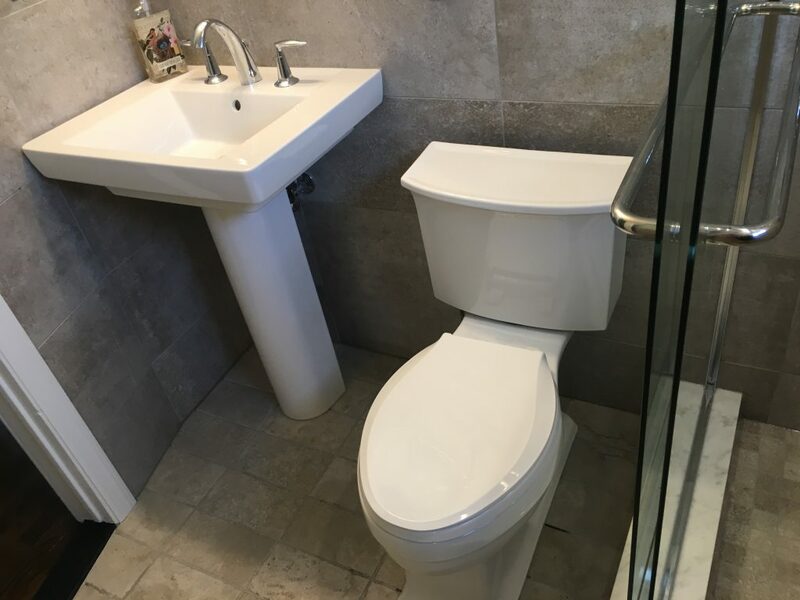 These homeowners chose a petite European-style pedestal sink and toilet to fit their smaller bathroom. 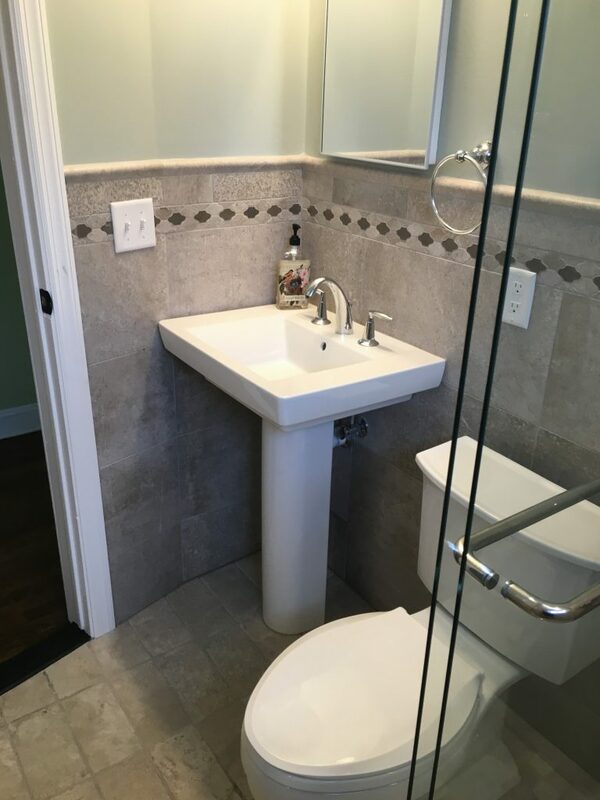 Our team at Monk’s can always help you find the perfect fixtures to fit the size and style of your home. 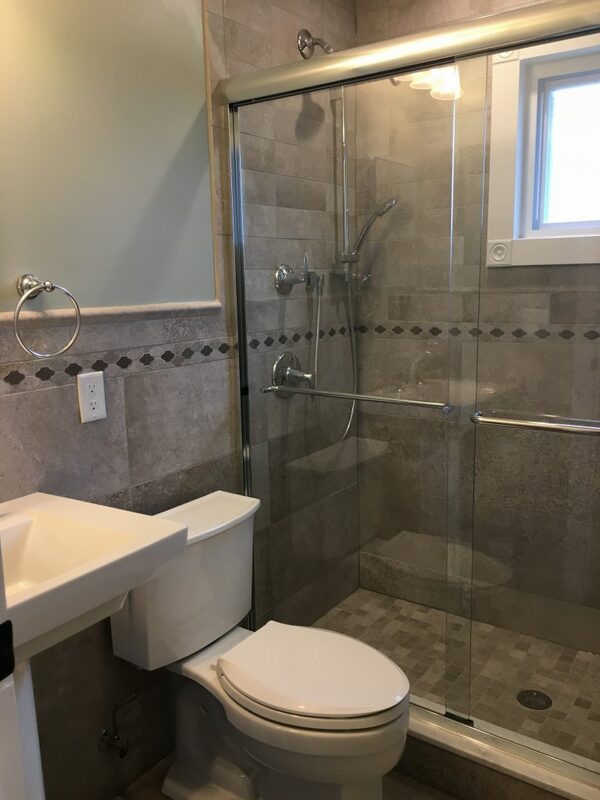 If you are considering a bathroom remodeling project for your home we would like the opportunity to tell you why we think we are the best bathroom remodeling contractor in Madison, NJ 07940.